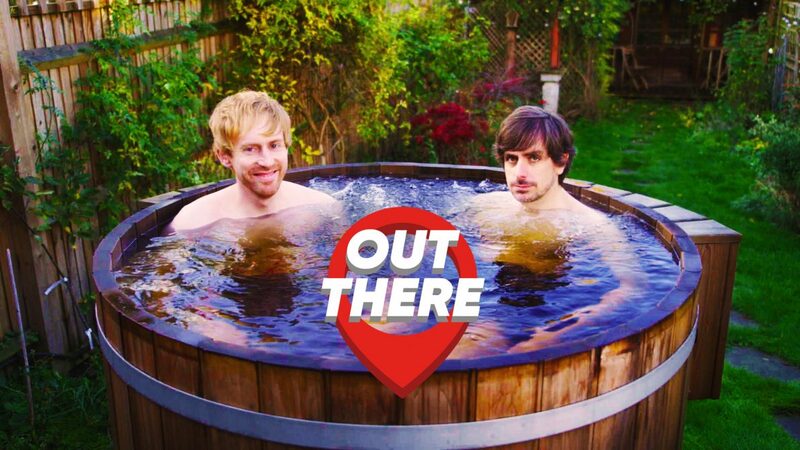 ‘Out There’ is the brand new comedy pilot for ITV, debuting in February 2019. It showcases the country’s top comedians performing ‘out there’ in the world. The format lifts the comics out of the comedy club and drops them in real-life situations, performing hilarious routines and zinging one-liners in real world locations. This high energy half hour sees Tom Allen in school, Kerry Godliman inside a Victorian folly and Darren Walsh and Mark Simmons trading gags in a hot tub. ‘Out There’ continues Angst Productions’ commitment to bringing through new talent, with spots from performers like dark musical comic genius Huge Davies, ‘Funniest Joke of the Fringe’ winning one-liner merchant Masai Graham and Malaysian stand-up Nigel Ng. ‘Out There’ is directed by the legendary comedy director Geoff Posner, (Little Britain, Dinner Ladies, Harry Enfield’s TV Programme).